Cleaning a home or an office may be a very hectic chore for many to do, and many people may procrastinate. In fact, living in a messy home or working in a messy office will cause a lot of stress that can easily be avoided. If you don’t have time or energy to clean up a messy home or a messy office, you can trust MaidsApp. MaidsApp is a convenient and professional maid service app that offers maids on demand. You don’t need to waste your time to find a maid, because you can get one on demand from MaidsApp. Through a simple few taps on your smartphone, you can get maids to your home and take advantage of our on demand cleaning services. All of our maids are the most professional that can be found. With multiple years of experience, our maids have come up with techniques that are efficient and effective. MaidsApp can offer you the best maid service Los Angeles has to offer. Our on demand home services are unbeatable. Our maids have service that is unmatched, and they will leave you satisfied with your clean home or a clean office. We understand that allowing somebody you don’t know inside your home may be stressful. To give our customers peace-of-mind, we complete an in-depth security and background clearance on all of our maids. When our maids arrive, you can show them what you need to be cleaned, including specifics that you have on your mind. Hundreds of homeowners and business owners all over Southern California trust MaidsApp as their first choice in home and office cleaning services. Call MaidsApp today, and you too will join that number of people who only trusts MaidsApp with their home or office cleaning duties. Here at MaidsApp, we use analytics provided by apps like Zillow to make sure we have enough information about your home to make the cleaning process as seamless as possible. Using this information, we give our maids directions on how to go about their cleaning to make the process as seamless as possible. 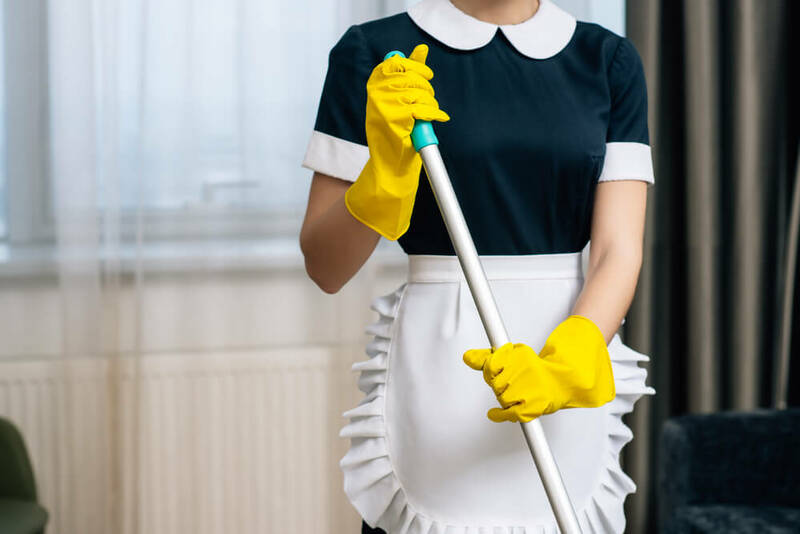 All of our maids have a great deal of experience in residential properties as well as office spaces and commercial locations, and have been in the quality cleaning services for a long time. They know how to get the job done in the cleanest, easiest, quickest and most efficient way. For the best home cleaning service Los Angeles has to offer, contact MaidsApp. Here at MaidsApp, we work hard every day to make the lives of our customers as easy and as hassle free as possible. If you have any questions about the nature of the services we provide here at MaidsApp, or if you have any questions, concerns, or feedback, please reach out to us at (626) 219-6811. Our email address is Sales@MaidsApp.com. You can visit MaidsApp on Instagram, Pinterest, Yelp and Twitter to keep up with our latest news and updates. If you were trying to find a maid service, MaidsApp is your choice.